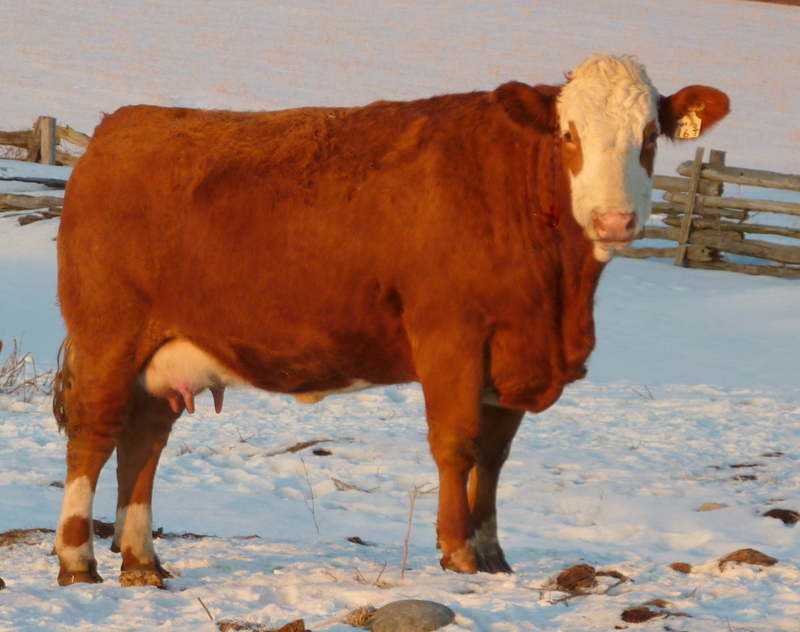 In the fall of 2007 we went searching for a polled outcross heifer calf. After attending several sales and looking at many prospects we found what we were looking for at Porters reduction sale at Innisfail, Alberta. We got the heifer we wanted and realize now it was worth ever minute of our long day in a cold sales barn. As the saying goes, the rest is history; 16T has exceeded all our expectations and then some. A daughter by Hugo is in our herd. Then there were twin polled DDD Broadway sons, Platinum and Platinum 2. Tropicana (the most feed efficient animal ever developed here) is going into our cow herd in 2013. 16T just recently gave us twin bull calves by our Equinox bull. She’s been here 5 years, produced 7 calves, simply put, just getting it done here year after year. 16T is what we call a producer.